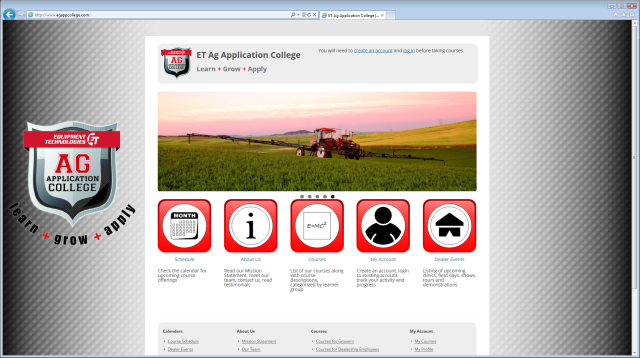 The Ag Application College is an example of a customized e-Learning portal. Starting with WordPress and the LearnDash LMS, we extended the system to incorporate multiple student types, automatic registration, and uploading of protected lesson files generated by Adobe Captivate. This site is an example of how we can extend open-source software such as WordPress with off-the-shelf plugins and custom code to meet a business need.